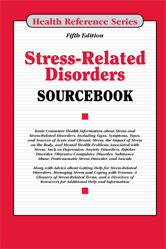 Stress-Related Disorders Sourcebook, Fifth Edition provides updated information about the origins and types of stress and describes physical and mental health disorders that may develop during and after stressful situations. Readers will learn about how stress worsens asthma, digestive disorders, infertility, and chronic pain. Section 8.1—What Is Alzheimer Disease? Section 21.3—Is Acne Linked to Stress?